Yes it's true! Jon and I are overjoyed that the Lord has chosen us to become parents. 1 Samuel 1:27 holds true, we prayed for this child and the Lord granted us our prayers. Our cups runneth over! We got to see our little bundle in 3D this morning (12 weeks 4days) and everything is perfect! Baby was moving around like crazy, kicking, flipping, with a strong heartbeat. We are so excited to share this news with you and covet your prayers and well wishes as we embark on this beautiful journey. Yay!!! SOOOO excited to become an aunt!!! And have a cousin for Miss Emmy Sue!!! YAY!! :) I'm so happy for you Ruthie!!! CONGRATULATIONS!!!!!! So happy for you and your family!!!!!! So happy for you and Jon! Congratulations!! What a wonderful blessing! Best wishes to you for a smooth pregnancy and a continually growing, healthy baby! Congratulations!!!! Such an exciting time! Baby Hart I love you already!!!! RUTHIE! Yayyyyy!!!!!! Congratulations!!! Cannot wait to "join" you on this journey! oh my goodness! Congratulations, so happy for you both and will keep you in my prayers! I had a feeling something was in the works :) So excited for you guys!!! CONGRATS!!! You are exactly 8 weeks behind me! I'm excited to follow you along in this amazing journey! It's been good for me so far...I hope you are blessed with the same! Congrats again!!! I'm so happy for you guys! The Lord couldn't have picked two better people to be this bundle of joy's parents! I can't wait to see how Ernie reacts to being a big brother! Wishing you a blessed and healthy pregnancy! Simply amazing! I love the announcement. OH and Ernie's picture. HOLY MOLY that's funny! Congratulations you two!!! So, so happy for you!! You guys will love parenthood...it is the BEST!!! YAYAYAY!!!!!! SO excited for you guys!! Oh yay! Oh my goodness! Congratulations on such a wonderful blessing!! 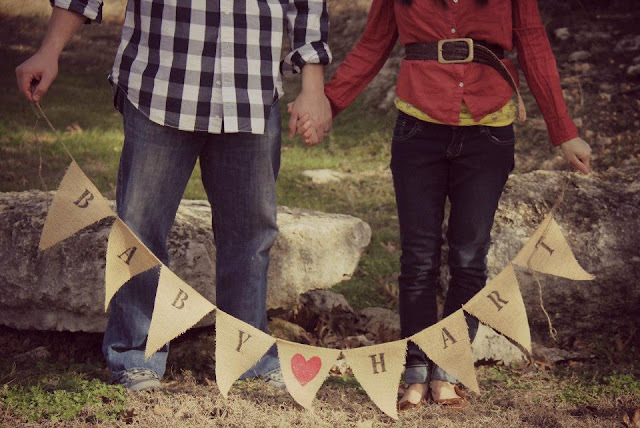 I cannot wait to read all about Baby Hart!!! So Happy for you. Congrats!! I've been waiting for this announcement!!! ;) Congrats you guys! Congratulations! So many prayers coming your way! Blessings to you! Congrats! And i just love the picture of Ernie, he looks thrilled!! ha! Enjoy every moment and cant wait to follow along in your new adventure. I know I already said congrats but, Congratulations!!!! I can't wait to see this little blessing of yours. So so so thrilled for your beautiful family. WOOOOOT!!!! Love you Ruthie MAMA! So excited for you! Can't wait to hear how that ultrasound went this morning!!!! YAAAAY! Oh my goodness. I literally almost woke my baby up from excitement for you guys! Congrats!! Yayayy congrats!! 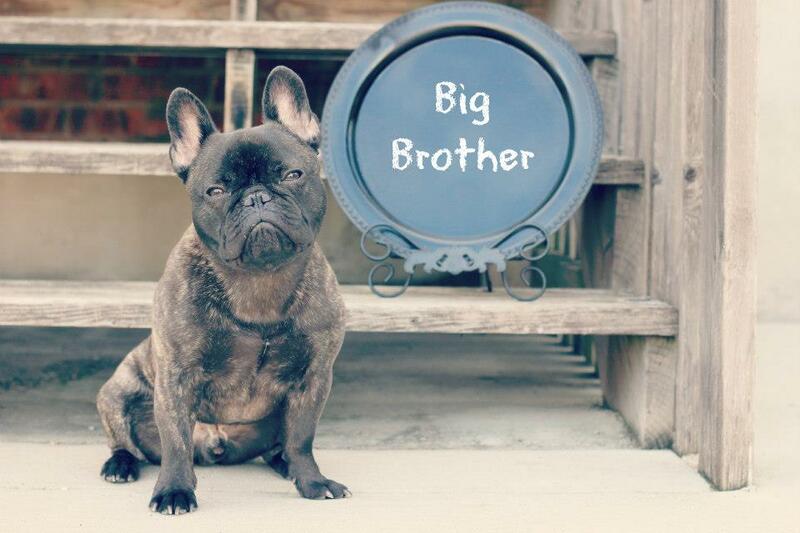 And congrats to Ernie on being a big brother!! Ruthie, this is so exciting!!! I have had a feeling for a while that you were pregnant. Congratulations Pretty lady!! This sweet little baby is already so blessed!!!! YAY!!!! Another baby Hart! I'm so so so excited for you guys! I've been secretly waiting for you to post a happy pregnancy announcement and so happy it's here! :) I hope some day we can meet and our little Harts get to play together! You're gonna be an amazing momma! Congrats!!! Soo excited for you guys!! yay!!!!!! congratulations! this is so exciting!!! you both are going to be amazing parents and ernie will be such a good big brother. i'm doing a happy dance for you. YAY! You are going to be the cutest little mama! Oh and that picture of Ernie is hilarious. Congratulations! Babies are such a blessing. I hope your pregnancy is going nice and easy! Congratulations Ruthie!! So excited for you guys! Oh you have no idea how excited I am for you! :) Congratulations!! Congratulations! Can't wait to watch your pregnancy journey! So freaking excited for you guys! What a blessing. Love you! HUGE congratulations!! I had a sneaking suspicion as I saw your pictures this last little bit. I noticed you were wearing baggier clothes, and you had a bit of a glow going! OMG 1. CONGRATULATIONS! So excited for you 2! :) 2. 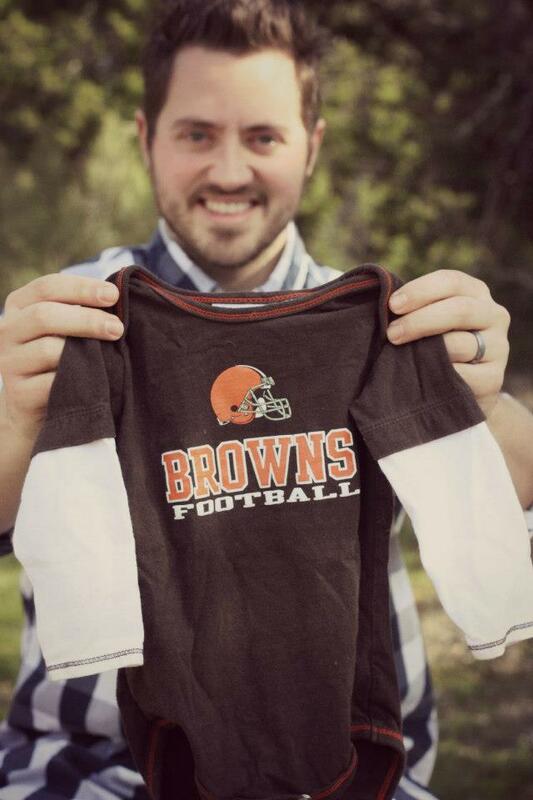 I can't say enough how much I love that baby has browns and ohio state outfits!!! MAKES ME SOOOO HAPPPYYY!! I had a sneaking suspicion, because you mentioned not wanting to have locked doors especially for the children's rooms. I am so excited to witness your journey. yay! So excting! I love the pictures is it weird that I looked at your instagram picture of you and the girls at dinner and just the way you were standing I could tell! Congratulations! I love your announcement picture. The banner is so sweet. I'm seriously squealing this is so exciting! :) I can't tell you how happy I am for you Ruthie girl, such a wonderful blessing! I look forward to watching it all unfold! Congratulations! I am due in July, and I just had this feeling you were pregnant! Yay! I seriously have chill bumps up and down my arms right now. Yay! Congratulations! So happy for y'all! once again I am SOOOOOOOOOOO thrilled for you guys!! THIS IS SOOOOOOO EXCITING!!! CONGRATULATIONS!!!!!! You've been holding that info in for 12 weeks!!! So happy for you both!! You will make amazing parents!! And your going to make one beautiful pregnant mamma! Can wait to read about the journey! How are you feeling? Sooo excited for you! OH MY GOSH!! Congratulations!! SO happy for you two!! 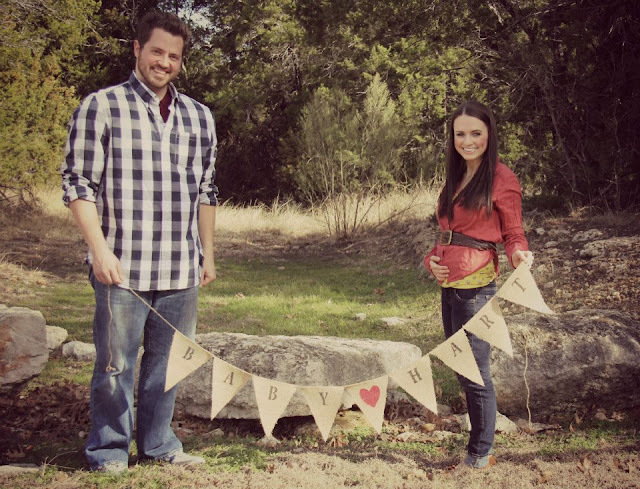 Going to be one cute little baby :) Gorgeous pictures! Ruthie!!!!!! SUPER SUPER happy for you! What a blessing! Congrats! That is so exciting!!! Congratulations!!! If you need any new mom advice do not hesitate to ask! I have a 5 month old and and still learning. AHHHH! BEST NEWS EVER!!! You will be incredible parents! Congrats!!!! That is awesome!! I look forward to seeing pictures of your bundle of joy. Congratulations! What a wonderful blessing. God is so good! I look forward to reading all about your adventures with Baby Hart! Awww.... Congratulations! 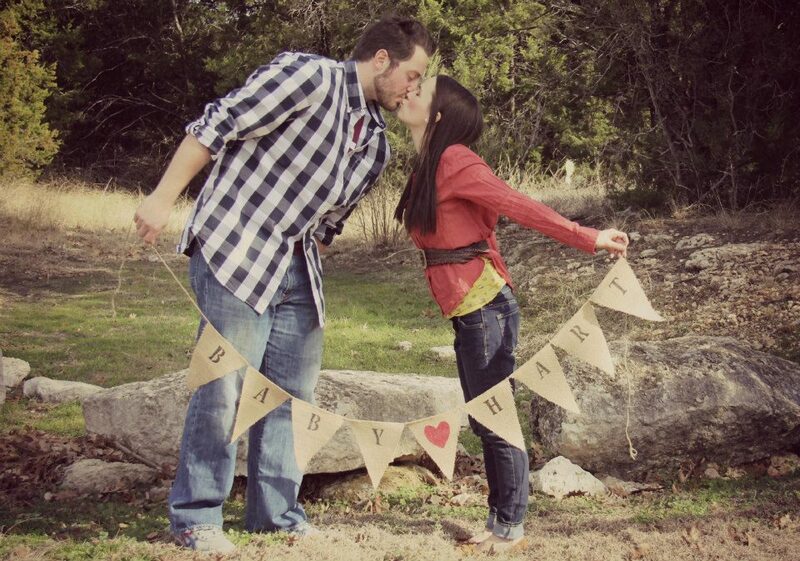 I am so looking forward to watching your family grow :) Prayers to you and Jon for a healthy pregnancy and baby!!!! aw yay! So excited for you guys! Yall will make wonderful parents! How can you not be in love with the thought of another Hart beating. I can't wait to see your belly grow. Although when you get to big I feel you may tip forward! I love you! How wonderful !! I am so excited for you !! Our childred remain our greatest joy and they have blessed us now with more joy as they give us grandkids !! Congratulations, the best journey you will ever take is the one to parenthood !! Congratulations! That's happy news. Wishing you good health!! Congratulation! What an exciting time for both of you! 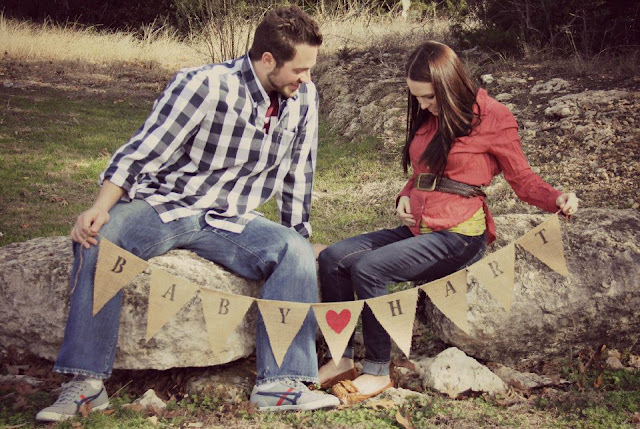 Baby Hart is one lucky baby to have you two as parents. Congrats! I have been following your blog since House Hunters. I am also pregnant and due at the end of May. :-) So we will have the whole summer to enjoy our baby (boy) together since my husband is a teacher. I'm interested to see what you have to say about this whole pregnancy and baby journey, and it will be interesting to see another petite person try to find maternity clothes. Good luck with all and take care! I've been reading your blog for a while now, and I love it! I'm excited for you and your hubby! How Exciting! I've been reading your blog for awhile now and I never comment (sorry!) but I couldn't resist giving you my congrats and well wishes! You two seem like such loving people, I know you'll make great parents! Congratulations!! Congrats Ruthie and Jon! What a thrilling, exciting and emotional time for you and such a blessing from God. You'll be fantastic parents. How exciting! Congrats and God Bless!!! Congrats!! I'm so excited for you! 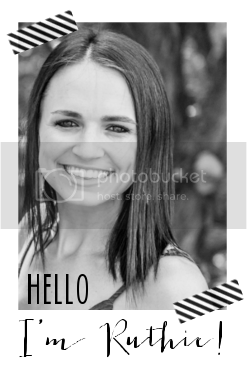 I love following your blog!! You are very inspiring! Congratulations! Your child is so blessed to have you as parents. God bless! You are soo pretty!! You look stunning, seems like pregnancy is giving you that glow!! You and your hubs are just darling. I love your blog!! These photos are lovely. I recently saw your episode on House Hunters and randomly decided to google your blog. It is just adorable! After reading your pregnancy post I started clicking around to read about your journey (my husband and I are trying to have a baby as well). What an experience! It gives me hope that all will turn out as planned. And your due date is our wedding anniversay :-) Anyways, congrats and stay sweet.